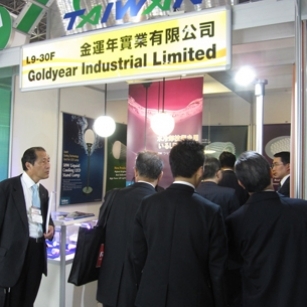 Many thanks for visiting our booth in 2010 Japan LED/OLED Lighting Technology Expo (Date: 14th ~ 16th April. 2010)!! During the 3 days lighting fair, we displayed our new liquid cooling technology and many new products including high power LED spot lights, UFO-13W pendant light, liquid cooled LC-16W pendant light, liquid cooled SL-50W stand lamp/garden lamp. After the fair, we received many customer’s visits in the factory and many of them are interested in cooperating with us. Thank you, we all arrived home with a feeling of success and confidence. We hope you have had an interesting and successful time in Japan. We are looking forward to meeting you again in 2011.